Look at a single approach after declutter. See at a glance how stabilized the approach was - then dive into details. 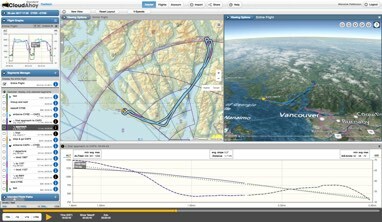 Fixed-wing, rotorcraft or glider: See at a glance how well each maneuver was executed - then dive into the details. 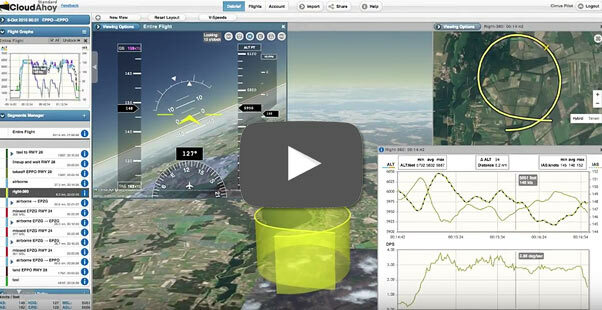 Relive a memorable flight! Add Cockpit View (a.k.a. synthetic vision), add in-flight video. Click the Play button - and enjoy. Check your lateral and vertical accuracy by comparing your flight to color-coded 2D and 3D published FAA approach. 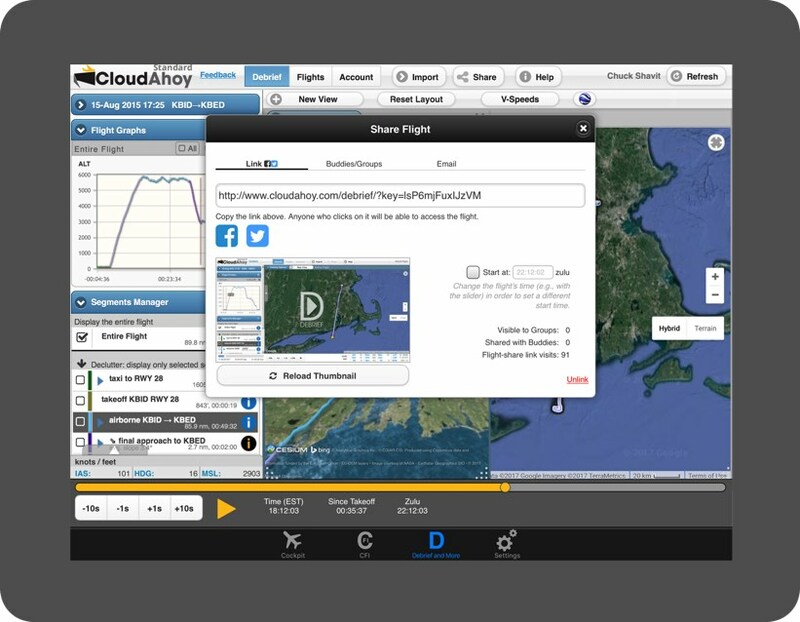 VFR and IFR charts worldwide: SkyVector's charts are integrated into CloudAhoy. Share a flight with your passengers. Share your solo flight with your CFI. Post your flight on FB or twitter. Quickly find the the approach in the Segments list. See at a glance how stabilized it was. 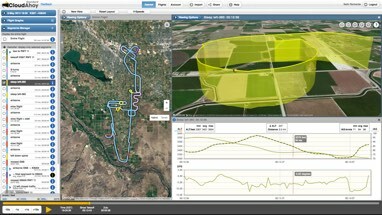 Student, CFI or pilot's self-improvment: get an objective and quantitative review of your flight. 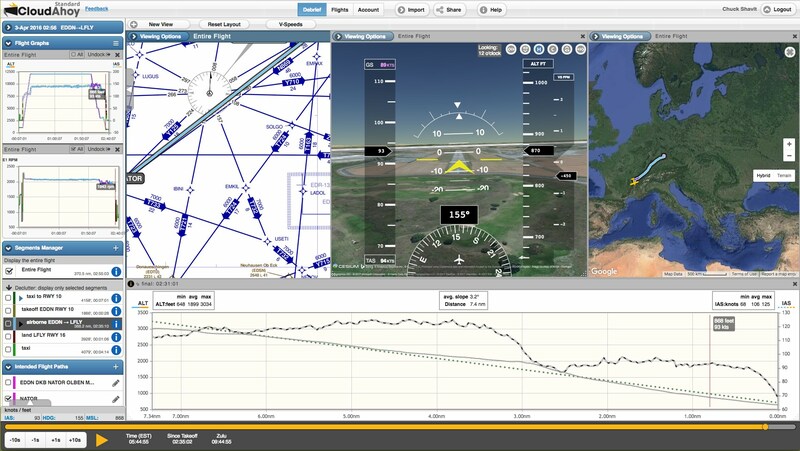 Get the most out of your airtime and apply the knowledge gained to the next flight. We pilots love to relive our airborne moments. Add Cockpit View (synthetic vision) and point it forward, left, backward or any other way. 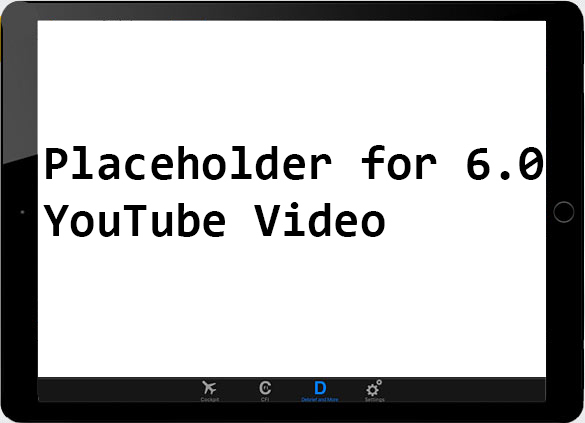 Embed one or two videos. Overlay glass gauges. Set the time, click the Play button and enjoy!! Check your lateral and vertical accuracy. See how stabilzed the approach was. Compare your path to the published approach, using our color-coded 2D and 3D overlay. 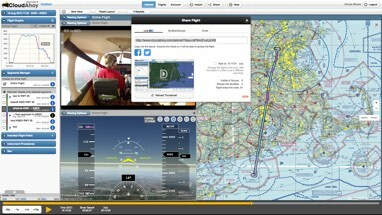 Cockpit View, including "approach in the sky"
Use VFR and IFR charts to debrief your flights anywhere in the world. 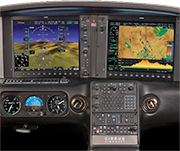 Check your VFR airspaces navigation, or the accuracy of flying in IMC. 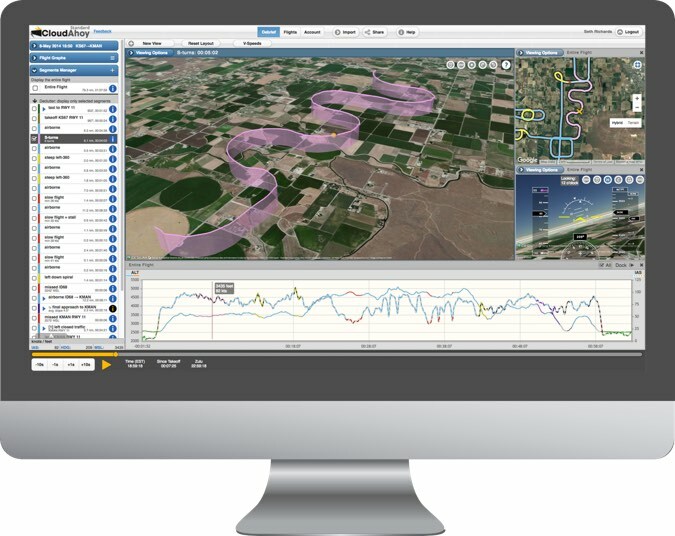 We use SkyVector's charts. 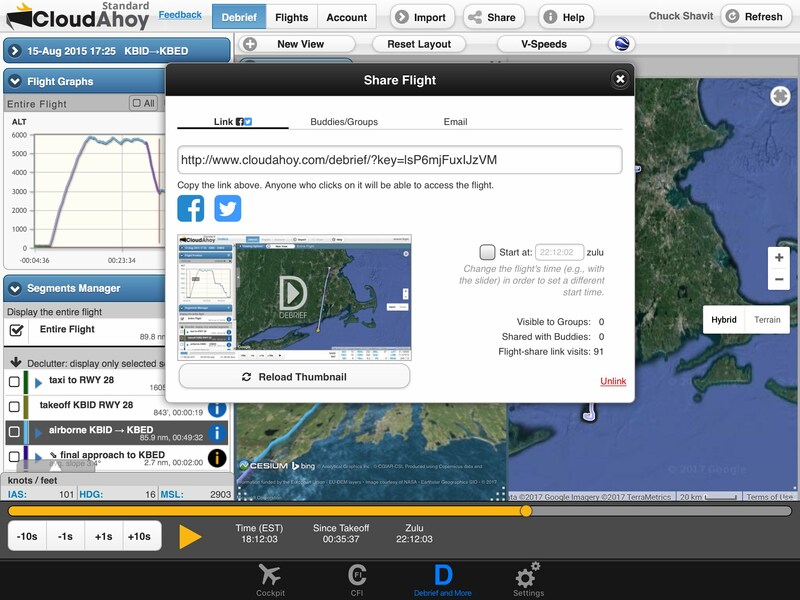 Share your flight socially, with your passengers and friends. 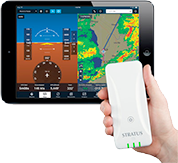 Share with your co-pilot, with your flight instructor or with your student. Share for fun, or share for flight review. 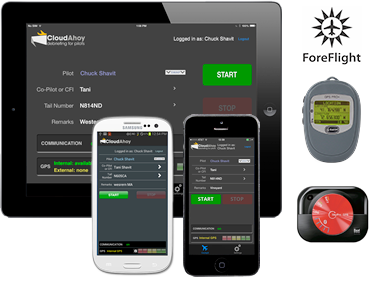 The easiest way to log a flight is with our free iOS and Android apps, optionally aided by an external bluetooth GPS. 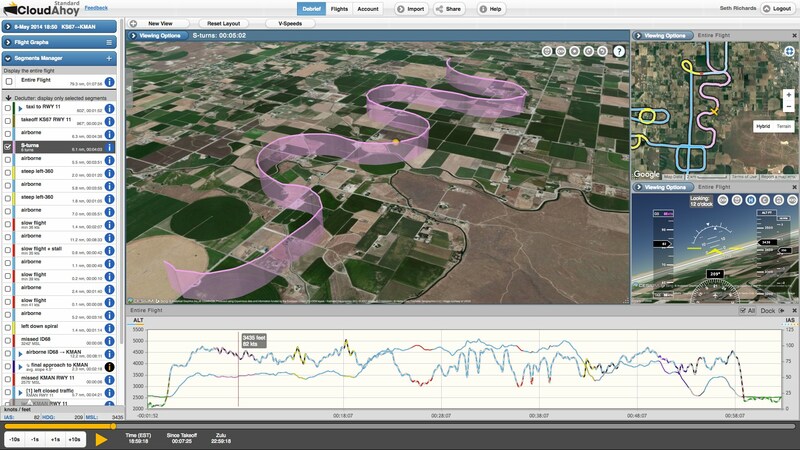 You can also import flight data from a long list of apps and devices.